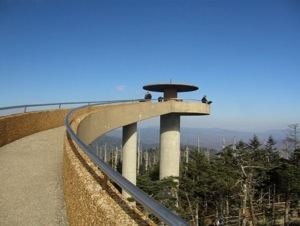 Clingmans Dome is located in the Great Smoky mountains national park in Tennessee. It’s the highest point in the park and it has an observation deck that offers views of over 100 miles in every direction. A steep, strenuous, and winding walk up a half mile trail leads to the observation deck. This is the setting that I found myself in on our family vacation one year. We began the “short” half mile walk up to the observation deck. With the high altitude and the steep trail, the path seems anything but short. After a few minutes, your lungs feel like they’re about to explode. Benches were wisely installed along to trail to allow you to catch your breath and they were usually occupied. I was there with my parents and my mom had to stop fairly often. Eventually, I went on ahead. I arrived at the top a few minutes before my parents and waited on them to go onto the observation deck. When they finally made it, my mom told me about an elderly lady that was walking along with my her. She said they talked all the way up and wondered with exhaustion how much farther they had to go. They hoped their destination was around each curve. Finally, as they were resting at a bench, the elderly lady announced to my mom that she had endured enough. She was going to turn back. My mother wished her well and continued up the trail. Then, to my mother’s surprise, she arrived at the top just around the bend from where they were sitting. The elderly lady was so close and she didn’t even know it. My mom said she looked back down the trail and saw the lady slowly descending. She gave up just short of her destination. In our lives, we have goals that come and go. We have goals for our jobs, goals for our children, goals for our walk with Christ. Sometimes the path to our goal is short, and sometimes it is long. Sometimes the way is hard. But we must not quit. Our destination may be just around the bend. And God is gracious. He places benches along the way so that we might rest. These benches may come in the form of trials beyond our control. They force us to rest. God gives us rest so that we might have the strength to continue. But we must not confuse the resting place for defeat. It is only a delay. We must not quit. When we arrive at the summit, we will discover that a glorious view awaits us. The path we have trod will be seen clearly. What are you facing today? Does the thing you have cherished so long seem so far away? Have circumstances hindered your progress? Faint not. The destination may be just around the bend. “So Moses brought Israel from the Red sea, and they went out into the wilderness of Shur; and they went three days in the wilderness, and found no water. I was eating at a local barbecue restaurant one day during my lunch break. I am a serious sweet tea addict and my glass was low and I was in need of a refill. I noticed that they had an automatic tea brewing machine that was in the process of making a fresh batch of tea. I was glad for the chance to get a nice, fresh glass of iced tea, so I filled my glass up from the dispenser as the brewer continued to pour tea into the large container. Everything seemed great until I took a sip of the tea. The overwhelming taste of tea and caffeine almost knocked me off my feet. I didn’t realize that I was drinking concentrated tea without any water added. The machine had not yet added the water when I poured my glass. I didn’t drink any tea for a couple of weeks after that. Sometimes the circumstances of life leave us with a bitter taste in our mouths. Such was the case for the children of Israel in the wilderness of Shur. They had travelled for three days without water, and, when they finally found something to drink, it was bitter. They murmured and complained about the hand that had been dealt to them. As we look closer at the passage, we see that the water wasn’t the only thing that was bitter. First, the wilderness was bitter. They had travelled three days in the hot, dry wilderness with no water. Try that and see how long it is before you complain. But, sometimes life can be this way. We follow The Lord faithfully, but it seems as though He has led us through a wilderness. Days of suffering and dryness pass, and we find no relief for our thirsty souls. It seems The Lord has forsaken us. Life has seasons of bitterness. Second, the water was bitter. They had travelled all this way to finally find water and it was bitter. But, instead of turning to God, they complained. They sought an earthly solution to their problem. This world and all it has to offer is nothing but a bitter drink of water. Not matter how far we travel in this life, we will find nothing but bitterness apart from God. Third, the words were bitter. The Israelites are infamous for murmuring and complaining. They had witnessed many mighty miracles from the hand of God, and, yet, they still complained when a little discomfort came their way. What do you do when life hands you a bitter pill? Do you complain? God said “In every thing give thanks” (1 Thess. 5:18). God performed the greatest miracle of all when He saved your soul, so, nothing you face in life is too big for Him to handle. First of all, Moses prayed. He sought the face of The Lord. This should be our reaction in all the circumstances of life. Pray about every decision that comes your way, no matter if it be great or small, just pray. Second, Moses obeyed God’s command. He told Moses to cast a tree into the water. Moses obeyed and the waters were made sweet. Always obey The Lord. 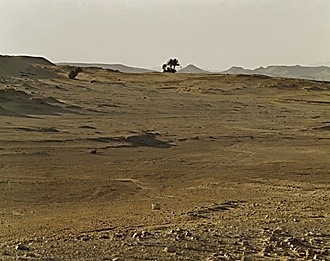 Notice that God showed Moses a tree. What a beautiful picture of the cross. Mankind was full of bitterness, thirst and sin until the cross was cast into the waters of humanity. Now the sinful are made sweet. What are you burdened with today? What bitter waters have come your way? Look to the cross and all will be made sweet. God always points us to the cross. Romans 8:32 says, “He that spared not his own Son, but delivered him up for us all, how shall he not with him also freely give us all things?” If God can save our souls, then He can sweeten our situation. Look to the cross. Sometimes no matter how hard we try, things seem to work out differently than we had planned. This was the case one day as I was working at a local printing business. We had been called to install a new light on the outside of the building for security purposes. The kind of light I was installing is called a wall pack, and it was big and heavy. These lights have a large hinged cover on the front with a thick glass lens that is used to cover the bulb. The hinged cover stays on the light fixture securely except for when it is open. Then it can be completely removed by sliding it to the right. A safety wire is usually hooked between the cover and the rest of the light to prevent it from falling. I had finished mounting and wiring the light and I was attempting to install the hinged cover. All I had to do was hook on the safety wire and I would be done. The whole time I was doing this, I was consciously aware of the fact that I needed to be extremely careful not to drop the cover. I was constantly thinking “be careful” as I was screwing on the safety wire. Then it happened. My hand slipped and time seemed to slow down as I watched helplessly as the cover fell in slow motion. 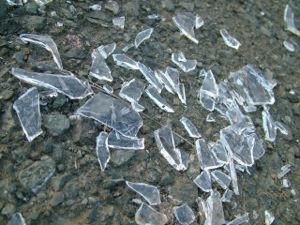 It landed on the pavement and shattered into a million pieces. I was sick. Sick that it had happened. Sick with myself for letting it happen. Wondering how it happened when I had been so careful to make sure that it wouldn’t happen. But it did happen. My incident with the cover is insignificant compared to the hopes and dreams that have been shattered. Jacob’s world was shattered when he came to believe that Joseph had been torn to pieces by a wild animal. I’m sure he had big hopes and dreams for his favorite son. Perhaps he would inherit all of Jacob’s possessions and lead the family and his herds. It was a noble dream. But God had other plans, and Joseph was taken away. The dream was dead. Either we have had that happen to us, or we will have it happen. God tends to bring us to a place where he asks us to let go of that which is dearest to us. It happened with me. I had great and mighty plans. I had fasted and prayed for hours each day to make sure that I was on the right path. I had planned out the girl I wanted to marry and how I would go into the ministry as an evangelist. I would sing and preach. But God had other plans. The girl broke my heart and I watched as all that I had planned shattered and crumbled. I was broken. Maybe you are broken as you read this. Maybe your world has come crashing down beyond your control. Maybe you have obeyed God and done everything right and, yet, the bottom has fallen out. Take heart for you are not alone. Many great Christians of old have been where you are and watched as God took their broken dreams and replaced them with His own. And His way is always better. His way is best. Soon your Joseph will be restored, and, this time, he will be a prince. Jacob could have never fathomed in his early years the riches his family would know. He was placed among the elites of the day. God’s way is best. The pain I suffered caused me to leave my church of 16 years to attend a new one. I needed a new beginning. I arrived there shattered and broken. 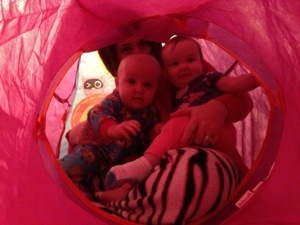 There I met my wonderful wife and now we are blessed with beautiful twin daughters. I play my guitar and sing in front of hundreds of people every week. God restored and renewed my life. His way is best. I drove to the shop that day hoping that I might find a replacement cover. I walked in and was thrilled to find a spare cover laying on the shelf. It worked perfectly and I thank God as I rode back to install it. If you are broken today and your dreams have been shattered, turn it over to The Lord. He may just have a place for you in the royal halls of Egypt. Our plan may be beloved, but God’s plan is best.